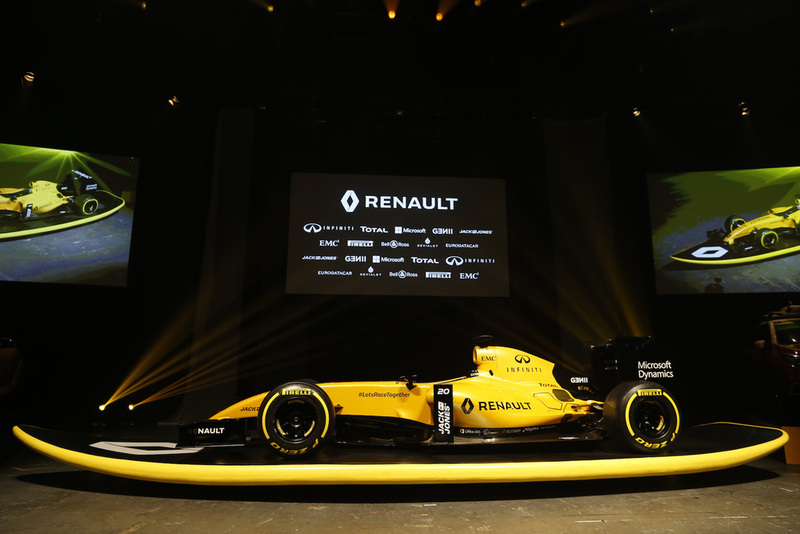 Renault Sport Formula One Team has unveiled its definitive livery for the 2016 FIA Formula One World Championship. The team debuted its distinctive yellow-gold and black colours in an event hosted in Docklands, Melbourne, in a highly unique way. The R.S.16 was first seen by the guests as it literally surfed the waves at Boat Harbour Park beach just outside Sydney ! 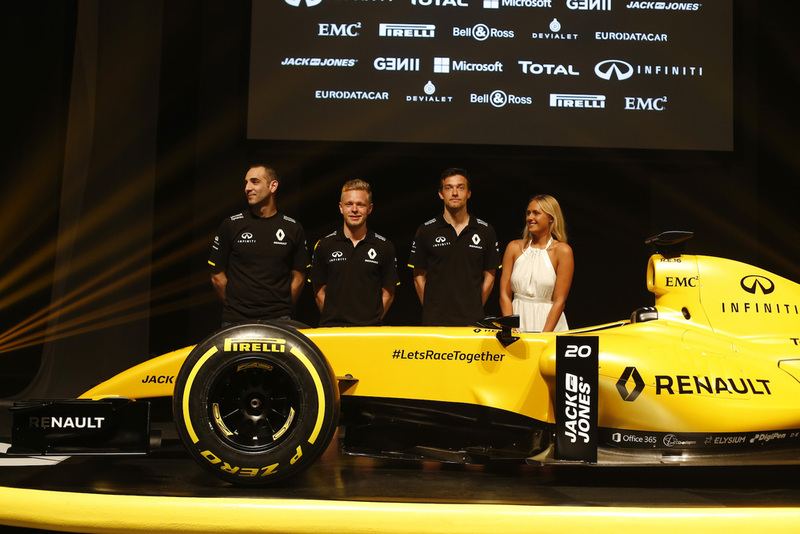 Renault Sport Formula One Team drivers Kevin Magnussen and Jolyon Palmer plus Australian pro surfer Ellie-Jean Coffey undertook the shoot on Monday before the Australian Grand Prix. The car – a showcar for those concerned about whether it will dry out in time for Sunday’s race – was fixed to the 7.5m long board using bespoke harnesses. It was then towed out into the Pacific Ocean where it was unleashed to catch its first-ever waves.